Welcome, Calapooia Middle School Assistant Principal George Sanchez. “I am very excited about this new assignment and the new challenges it will bring to my personal and professional life. I am the product of a Mexican migrant family. Being the youngest of nine and bicultural has led me to experience many struggles. As a struggling learner I lacked self confidence and self esteem. However, I overcome the struggles because of a strong support structure and lot’s of grit. 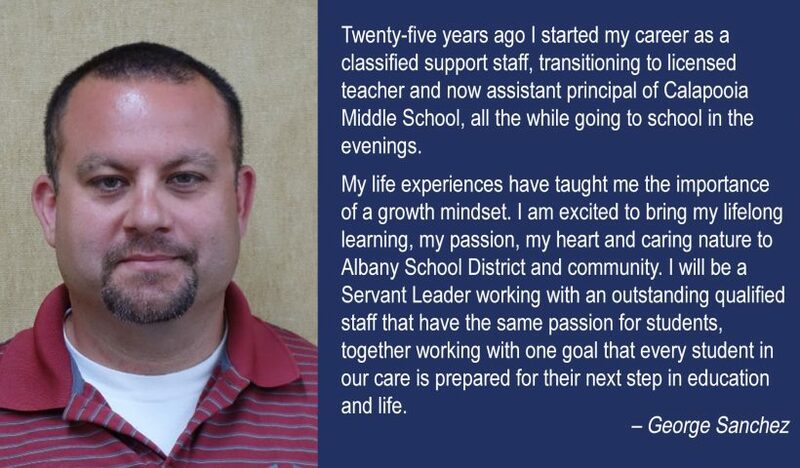 My professional journey in education began soon after High school. 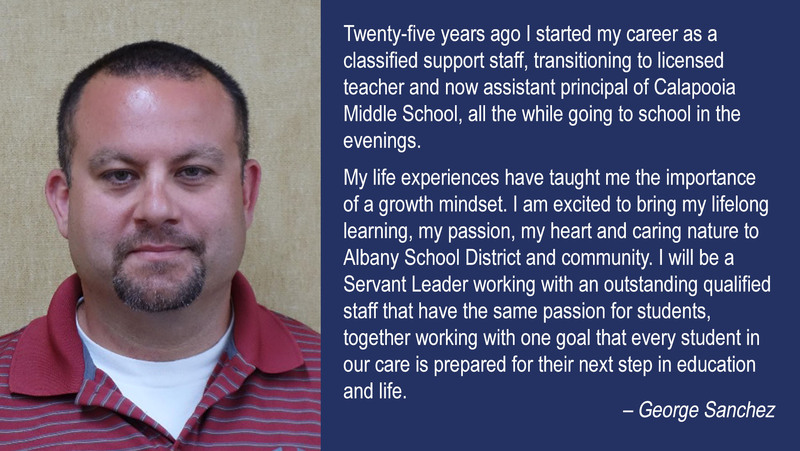 Twenty-five years ago I started my career as a classified support staff, transitioning to licensed teacher and now assistant principal of Calapooia Middle School, all the while going to school in the evenings.